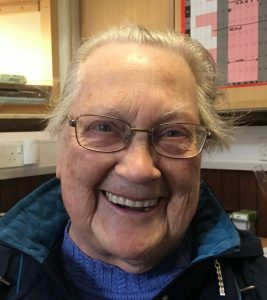 We have a treat in store this Sunday evening (12th March, 6.30pm) when May Smith – one of our most respected seniors – will be sharing some of her life story. May will be recounting some of the key moments in her life – the highs and lows, ups and downs – and reflecting on where she is now and on how God has sustained her along the road. This, you won’t want to miss. Michael and the band will lead the praise. All in all, a great night in store. Sunday evening, 5th February, saw our first ever Café Church – a big success with over forty in attendance. There was a relaxed atmosphere as people shared coffee together and enjoyed the café-style ambience that had been created. Carol-Ann led music and that was followed by group sharing around the topic of family relationships. Real discussion around real-life subjects – that’s what our Café Church is going to be about. 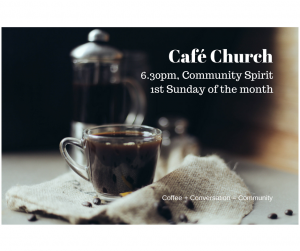 Come and join us next time – Sunday 5th March, 6.30pm in our Community Spirit building – and thereafter on the first Sunday of each month. 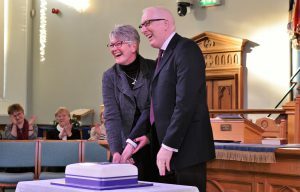 What a wonderful weekend of celebration we’ve enjoyed as together we gave thanks for the twenty-five years of having Martin and Elaine leading our congregation! A dinner for office-bearers on Friday night was followed by a drop-in coffee afternoon on Saturday. The climax of the weekend was the morning worship, led by John Chalmers. At the end of the service, time was taken for expressions of gratitude which Martin concluded by reminding us that, when all else is said and done, the glory and thanks is due to God alone. And now? Onwards, ever onwards!